Heat oven to 350°F. Lightly sprinkle work surface with Pillsbury BEST® All Purpose Flour. 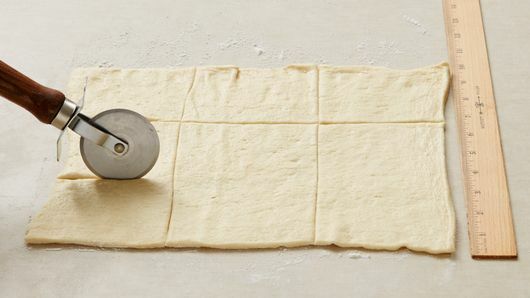 Unroll dough on work surface; press to form 12x9-inch rectangle. With pizza cutter or sharp knife, cut into 3 rows by 3 rows to make 9 rectangles. Spoon rounded teaspoonful hazelnut spread onto center of each rectangle. Brush edges of rectangles with melted butter. 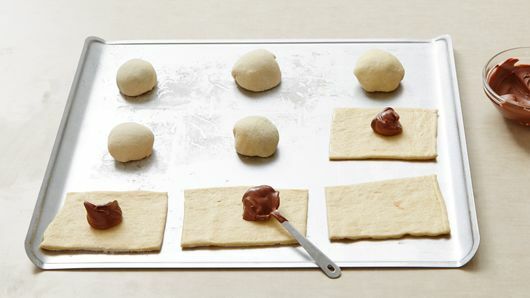 Bring dough up around filling to cover completely. Pinch edges together to seal; shape into ball. Place seam side down, 2 inches apart, on ungreased cookie sheet. Meanwhile, in small bowl, mix powdered sugar and milk with whisk until smooth and thin enough to glaze. 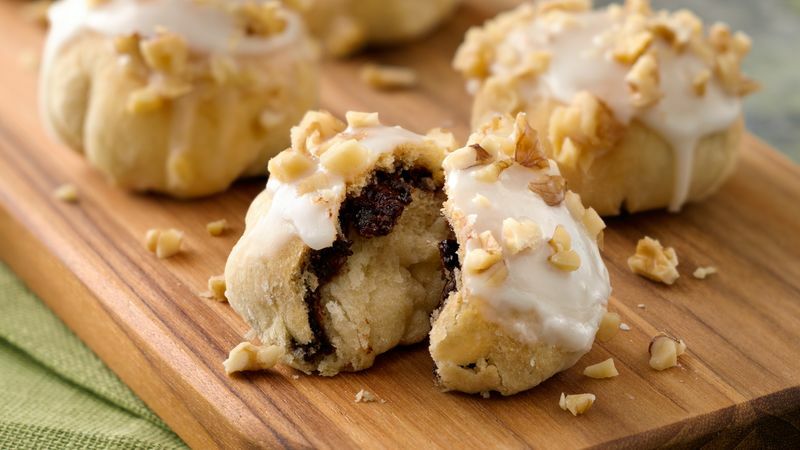 Dip top of each doughnut popper into glaze; place on Reynolds® Parchment Paper. Let stand about 1 minute or until glaze is set. Place nuts in small bowl. 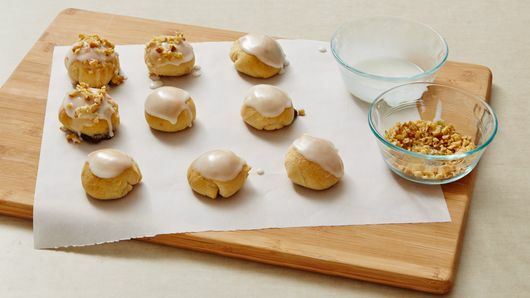 Dip each popper into glaze again, then into nuts. Serve warm.